If someone was to ask me right now, "Who would you recommend I print mini business cards through?" I would honestly say MOO Inc! 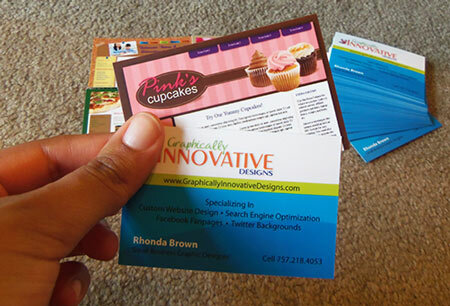 Yes, there are other online printing companies that can print mini business cards, BUT, I like them the best! Why? 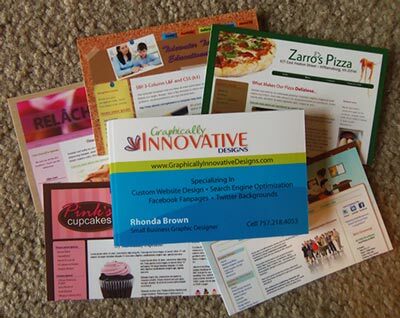 For one, I have personally seen their printing quality and have used them for my business printing needs. Check out my business cards through MOO (pictured below are the standard size to show print quality). Then, read further to see why I LOVE MOO's MiniCards and highly recommend them. I agree, Moo sounds like a funny name but they are seriously a great, quality printing company and they're very affordable. 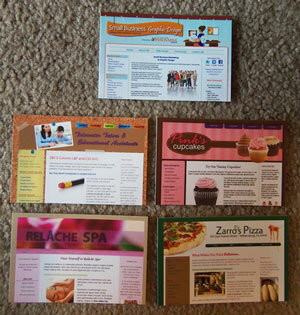 They not only print mini cards but also standard business cards, stickers, labels, postcards, and greeting cards. Full color printing and premium paper options. "Printfinity" - option to print more than one background on the set of cards (Read more about this feature below - great for photographers, restaurants, designers, artists, etc). Two-sided printing at no extra charge! Print runs in quantities as low as 100 cards. Stylish ready made and pre-made templates by various designers. The option to upload your own photos from Facebook, Etsy, Bebo, and Flickr. It's called "Printfinity." Through "Printfinity" you can use your business cards as a pocket-sized portfolio or promo card. Simply put, it's a way of printing a different background or image on every card in the pack. Not many companies are doing this and MOO offers it for FREE! If you've ever wanted to display more than one picture on your business cards this is definitely who you should use. MOO allows you to upload up to 50 images at once for a series or set of cards. This has been very useful for photographers, freelancers, restaurants, and anyone else that wants to showcase more than one picture on their business cards. Especially me! As mentioned before the business cards pictured on this page are what I use as my pocket portfolio to show images of my work as a web designer. I have my contact info on the back and five different website images on the front. When I pass these cards out, people really seem to like them! Why not try Moo out for your next set of business cards. Mini Business Cards - What's the Hype?